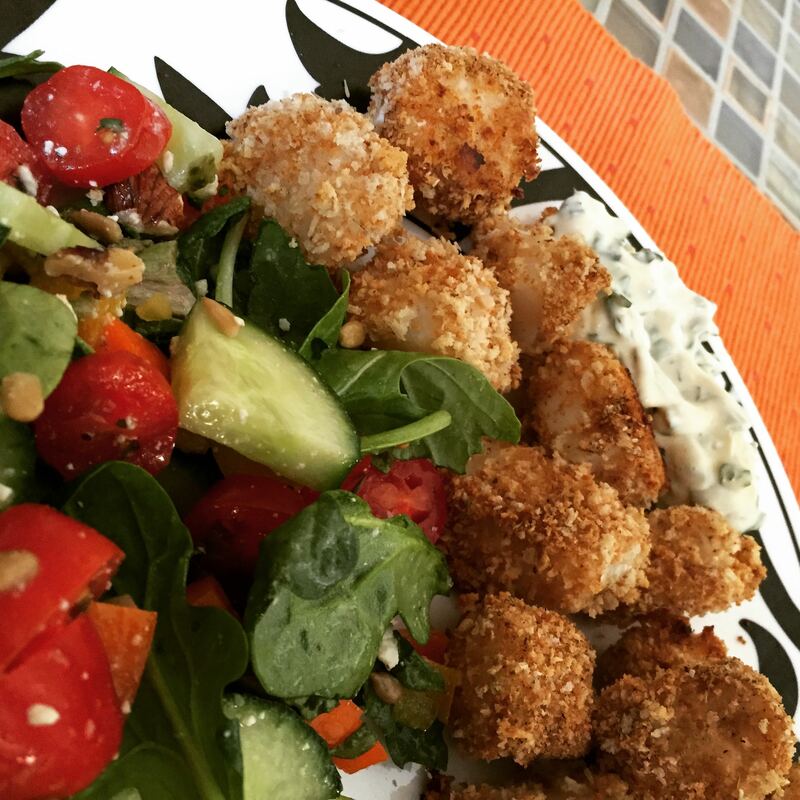 While this recipe is a little labour intensive (I intend to try it again with larger pieces of fish – which should also bring the calorie count down a smidge) the nuggets are crispy, crunchy goodness and the tartar sauce, well, let’s just say enjoy it in moderation. Add panko and thyme to pan; cook 2 minutes or until golden brown, shaking pan frequently. Combine panko mixture, salt, and pepper in a shallow dish. Place flour in another shallow dish. Combine 2 tablespoons water and egg in another shallow dish. Dredge fish in flour mixture. Dip in egg mixture, and dredge in panko mixture. Arrange fish in a single layer on a baking sheet coated with cooking spray. Bake fish at 400° for 12 minutes or until done. *While I cannot prove this is the best damn tartar sauce on Earth, I am willing to duel at 20 paces with anyone who contests the claim.